Editor’s Note: EarthTechling is proud to repost this article courtesy of Climate Central. Author credit goes to Robert van Waarden. Cycling along the country roads of Flevoland, you can’t help but notice the wind. If one is lucky, it is behind you, if it isn’t . . . well, good luck. It is no wonder that windmills haphazardly dot the landscape. They fit. This is the Netherlands, a country where wooden windmills have dotted the landscape for hundreds of years. Now instead of pumping water, modern windmills are powering thousands of homes. Stephan de Clerck and his brother, Ralph, live within a few kilometres of each other in Flevoland, and they are no strangers to wind. They have been harvesting wind energy for 10 years. In the beginning they were looking for ways to diversify their farms and incomes. They love how wind energy perfectly complements their other crops, like potatoes, onions or sugar beets. Once installed, the windmills turn steadily in the background, while the day-to-day life of a farmer continues. For them, wind energy is a valuable crop, and one that gets better the stormier the weather. 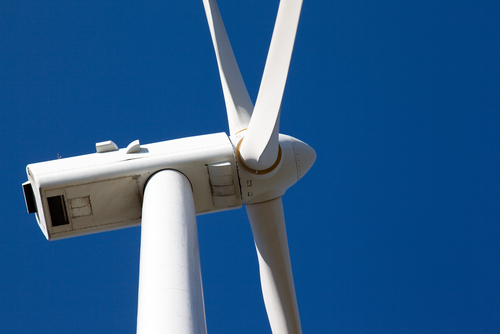 Together, Stephan and Ralph produce enough wind energy to power 5,000 homes. Their energy is sold through WindUnie, a co-operative that sources and sells wind power to residents of the Netherlands. Ten years ago, WindUnie was a small start-up, but through the engagement of landowners like Stephan and Ralph, this co-operative has grown to be a major player in wind energy market in the Netherlands. Connecting residential customers with small-scale producers, the WindUnie website allows you to explore the suppliers of wind energy, meet their families and see where your wind is coming from. In the case of Stephan and Ralph, you find out that they have 3 and 4 kids, respectively, and love skiing and walking on their holidays. Stephan was very happy with the first set of windmills, so much so that he wished to build more. But, by then, the zoning laws had changed and regulations were now requiring windmills to be built in a line rather then individually. Stephan realized that he couldn’t do it on his own. So he went knocking on his neighbours doors and together, five of them launched Samen voor de Wind, (Together for the Wind), a co-operative farm of seven windmills. Samen voor de Wind has substantially contributed to the financial well-being and health of the families. All the members have young families and they are naturally happy to have the extra income. Furthermore, the co-operative has built a stronger community between the neighbours. Stephan believes that for renewable energy to succeed, we desperately need to level the subsidy playing field. With the removal of fossil and nuclear fuel subsidies, the market would take over and clean energy would rise to top. “In the future, instead of all of us being energy users, we will all become energy producers,” says Stephan.